Former major league catcher Hector Sanchez was one of the principals in a wild brawl Wednesday in the Venezuelan winter league. Playing for La Guaira, he dropped Felix Perez of Caracas with a punch after Perez instigated a second round in the donnybrook. Minutes earlier, Perez charged the mound in response to Jorgan Cavanerio throwing two pitches behind him. Cavanerio, who pitched in the Marlins’ farm system in 2018, kicked Perez, a former Reds farmhand, during the initial scrap. Teammates eventually pulled Perez from the pile and directed him to the third-base dugout, only to have Perez break free and try to re-engage. He got as far as the front of the mound before being pulled back again — only this time, La Guaira players followed him. When Perez reached the warning track, he threw a punch, which was met by a hard right from Sanchez. As fans threw beverages on the players, the brawl spilled into the Caracas dugout. It was not immediately clear why Cavanerio was throwing at Perez, but it’s worth noting that Cavanerio threw a strike between his purpose pitches. Y en medio de la trifulca durante el partido entre Leones del Caracas y Tiburones de La Guaira;un sujeto saltó al terreno de juego y tomó el guante de Yonathan Daza.Comentó [email protected] que al final el guante fue devuelto. La PNB tuvo que intervenir. Sanchez, 29, played in 24 games for the Giants’ Triple-A affiliate in Sacramento, Calif., last season before being released. 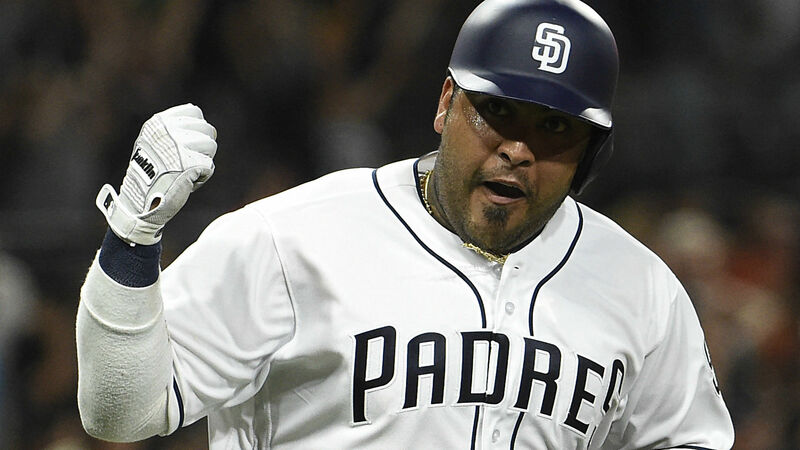 He has played for the Giants, White Sox and Padres during a seven-year major league career (2011-17). To make this incident even more absurd, a spectator raced onto the field while the teams were duking it out, swiped an outfielder’s glove and then eluded capture. Oh, and the teams will meet again Friday, to boot.